This Sunday, we are performing at the Zimmer Children’s Museum in Los Angeles as a part of their Cherry Blossom Celebration. Last year, we had a blast- not just playing for a great audience, but also checking out the museum… it is so cool! Everything is hands-on, fun and educational! Click here to find out more information about the museum, and stop by and see us play around 3pm! It’s springtime again, which means cherry blossom festivals are being held all over southern California! Come check out the fun at ESGVJCC’s cherry blossom festival this Saturday, March 16th from noon to 6pm. 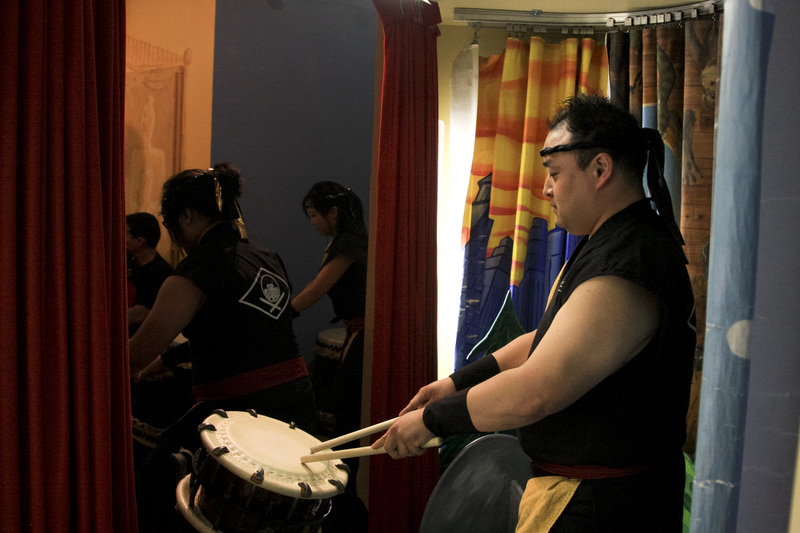 The lineup includes martial arts demonstrations, Minyo Station, and of course, Kishin Daiko! The event is free and open to the public, click here for more information. We’re going on stage around 5pm, so be sure to get there early to find parking and buy something to snack on!